When I was a child I really hated brinjals. I specifically hated the way my mum and granny would sneak slimy, squishy blocks of brinjal into our evening vegetable shaak. At the time we lived in a flat. Every day,I resented not having a dog.I envied the kids on tv and in comic books,who would sneak their unwanted dinner under the table to feed their pets! I owe it to the Italians for inventing Melanzane Parmigiana – the dish that changed my life! I can’t quite remember when I first tasted it, but credit must be given to that life changing moment! 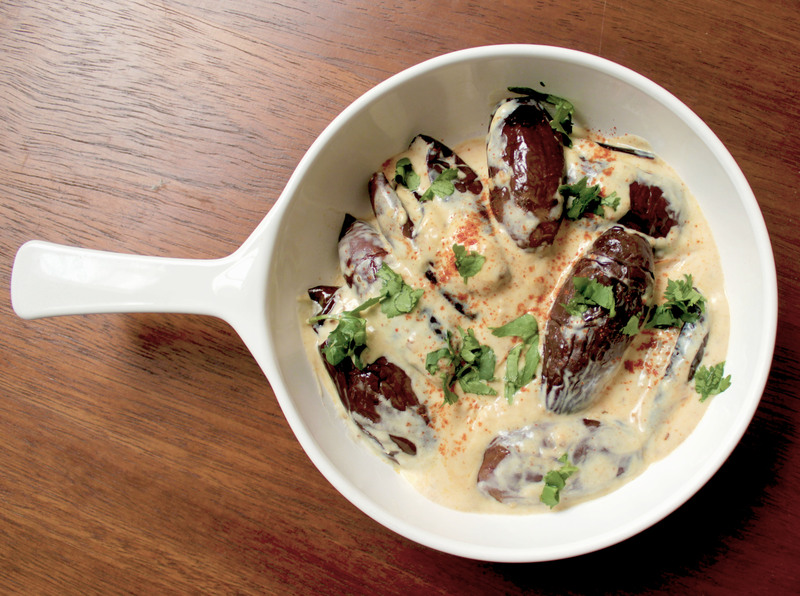 We often cook brinjal in a tomato based sauce. I found this recipe in an old recipe journal and decided to give it a try. You should too! 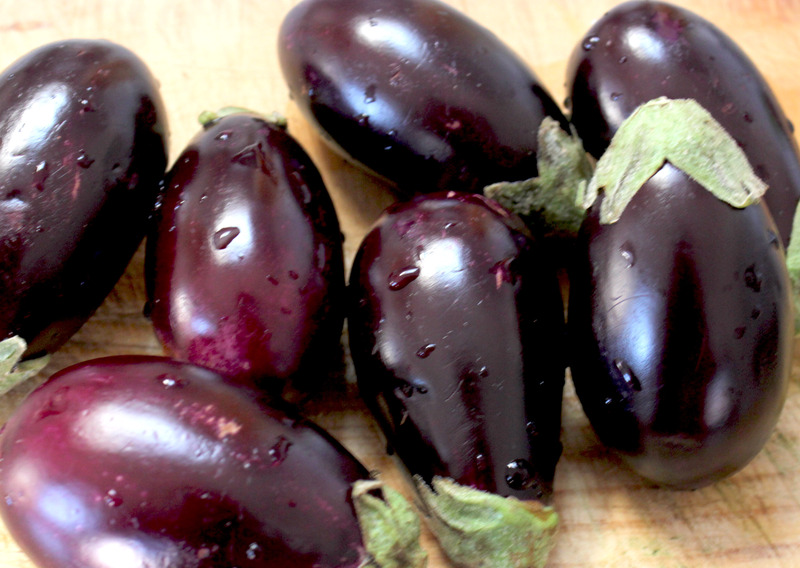 Halve the brinjals lengthwise, and rub with olive oil. Now when it comes to actually cooking them, you have a few options. I must admit I cheated by using my air-fryer for 10 minutes in order to avoid using oil. Alternatively, shallow fry the brinjals after you fry the spices, until the skin is wrinkly, or grill in the oven for 10-15minutes. In a shallow pan,heat the ghee over a low flame. When the ghee has melted, add the ajmo. 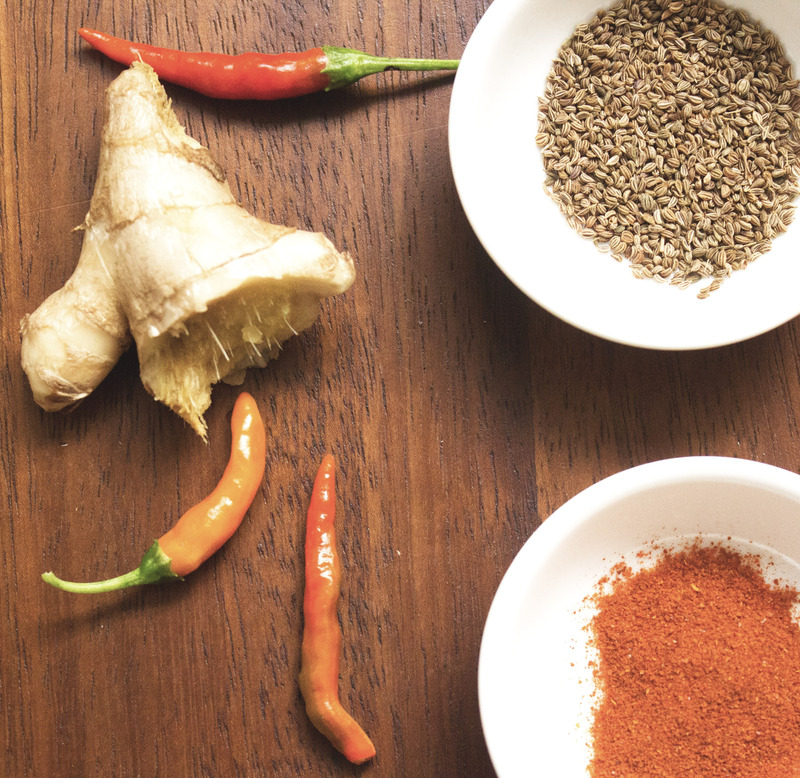 Once the ajmo is sizzling, add the ginger and chilli. 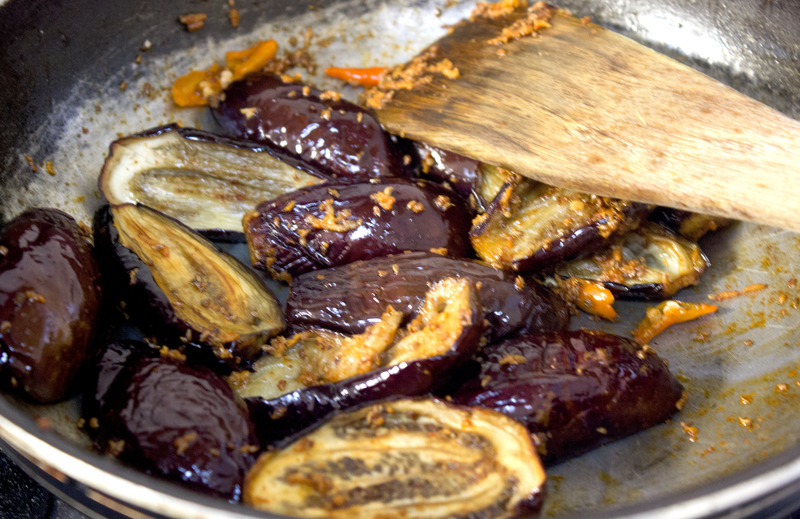 Sauté the brinjals in the spice mixture for a few minutes. 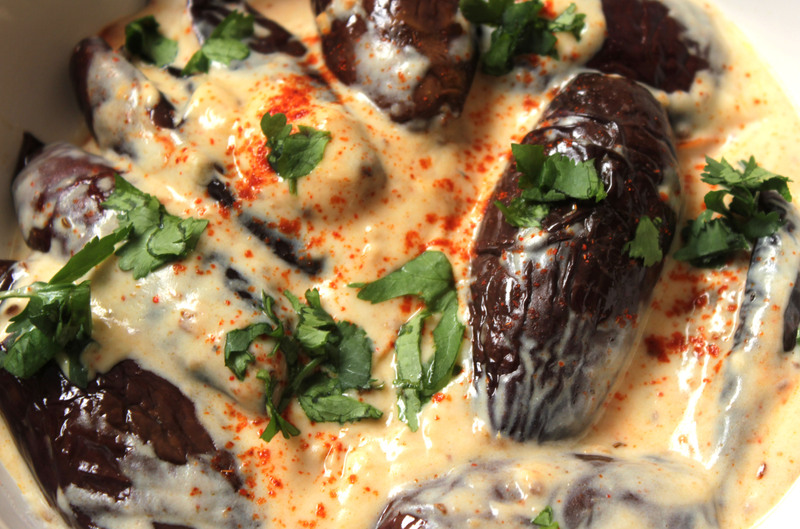 Once the brinjal is cooked, stir in the yogurt and cook on a very low flame, for just about a few minutes until just before it begins to boil. Add salt to taste. Do this very carefully – there is nothing worse than split yoghurt! Garnish with fresh coriander and serve hot with rotli!